Welcome to Must Read, where we single out the best stories from around the automotive universe and beyond. Today, we have reports from Automotive News, Wired and Hooniverse. Overshadowed by the term "auto bailout" is the fact GM and Chrysler were and are two different companies. Although when Sergio Marchionne argued yesterday GM should've gotten the same treatment Chrysler during the process, he may have had a point. You see, there is a fundamental difference today between Chrysler and GM because of what did and did not happen during that gut-wrenching stretch five years ago. 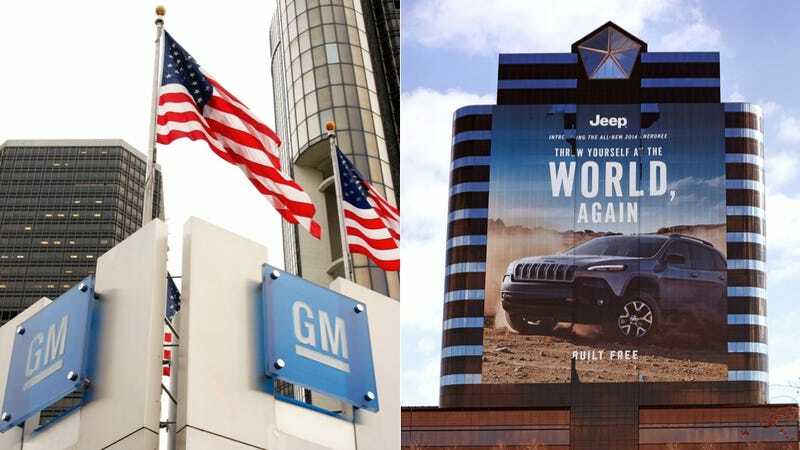 I've come to believe now that Chrysler came close enough to death in its bankruptcy to dramatically alter its culture, while GM never stopped believing it was too big to fail. Didn't think of that. But Zipcar founder Robin Chase did. Also I suspect this won't help the war on obesity in this country. My parents almost brought me home from the hospital in a Toyota Previa, but plans changed and my first ride was a Mazda 929 instead. I don't think I've ever been in a Previa, but they hold a place in my heart. Previa, whose name is a portmanteau of "Preview" and "chlamydia", hit the market in 1990, ready to attack other established minivans on the global market. This meant the Renault Espace in Europe and the various members of the Chrysler Caravan family. But this time around Toyota's hi-occupancy family hauler was a far more refined proposition than the van-with-windows which came before.